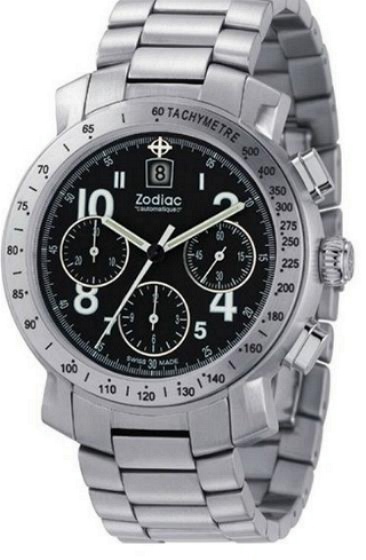 Zodiac Watches, which was acquired by the Fossil Group in 2001, has released a completely new line of watches. Zodiac was founded in Le Locle in 1882. The Calame line, named after the company’s founder, Ariste Calame, features sport watches in time-only and automatic & quartz chronograph versions. This chronograph, Ref. ZO-2003, features an automatic modular movement by Dubois-Depraz (Caliber 2025 – base ETA ebauche). The case is in stainless steel, with a sapphire crystal and is water resistant to 100 meters. MSRP is $2,000 for the bracelet version, and is now available at authorized dealers.